Jera On Air Has released the details of the first lineup announcement for 2019. 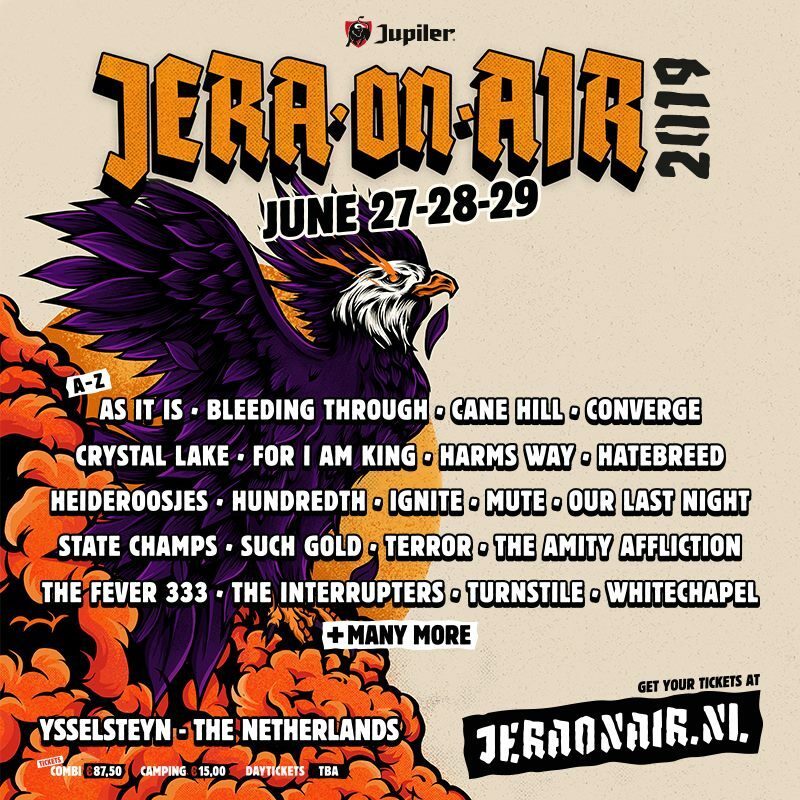 Taking place on 27-29 June in Ysselsteyn, NL, the festival will be hosting the likes of As It Is, Bleeding Through, Cane Hill, Converge, Crystal Lake, For I Am King, Harms Way, Hatebreed, Heideroosjes (who will be making the comeback of the year), Hundredth, Ignite, Mute, Our Last Night, State Champs, Such Gold, Terror, The Amity Affliction, The Fever 333, The Interrupters, Turnstile and Whitechapel. Combi tickets are available for sale on jeraonair.nl, while day tickets will be made available soon.